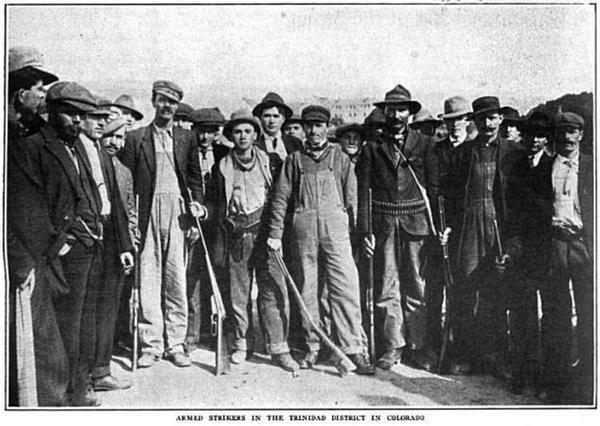 So fellow workers, on this day in 1914, to end a bitter coal-miners’ strike, Colorado militiamen attacked a colony of strikers, killing dozens of men, women, and children. When the evictions failed to end the strike, the Rockefeller interests hired private detectives that attacked the tent colonies with rifles and Gatling guns. In the end, the 1%ers learned a big lesson from this strike: control all public news organizations to make union's the bad guys with lies and a few bad examples of union greed. In the end, the unions that gave you a 40 hour workweek and medical insurance, was made to be the bad guy, and the corporate greed smuck was made to be the good guy. This plan has worked so well today that the minority of non-1%ers who have a decent job with medical coverage and a retirement account, simply look the other way when confronted by the reality that most of us are living paycheck to paycheck, no healthcare, retirement, as we work three jobs to make ends meet. Which, in their mind is because of the choices we made, not the fact that the company we worked for gave their CEO a million-dollar bonus to lay us off. Yes, one of these days their will be a revolution. Unfortunately, those of you who still have a decent job don't see it. 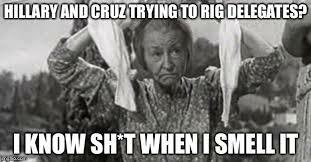 You think you are protecting your interest by voting for Ted "Hillbilly" Cruz, but you're not. You are protecting the interest of the 1% who owe everything they have to your labor. Ahhh, yes, I can smell it now. One more financial crisis and you will wake up, you wait and see. The kids have not been linked to white supremacy, but the fact they chose Hitler’s birthday to do this only shows that it had an influence. In acknowledgement of that terrible day, thousands of kids across the nation have held walkouts in their schools which the NRA and Alex Jones are condemning as an assault on their gun rights.